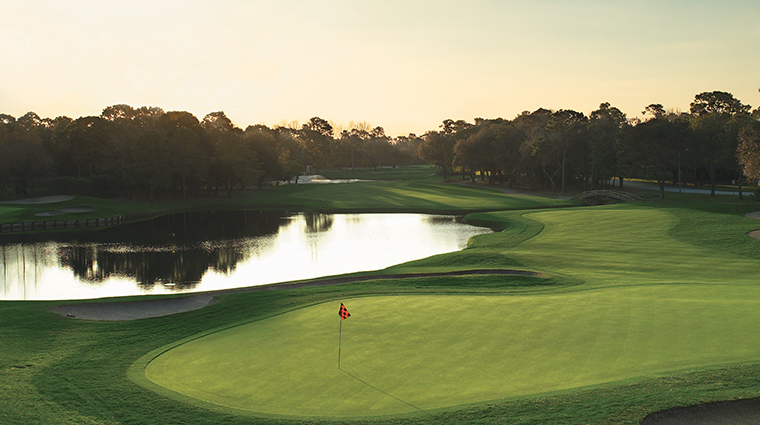 Innisbrook is quite simply a golfer's paradise. With four championship 18-hole courses on property, the resort is part-country club, part-camp. Set on 900 acres, you'll find more than golf here. 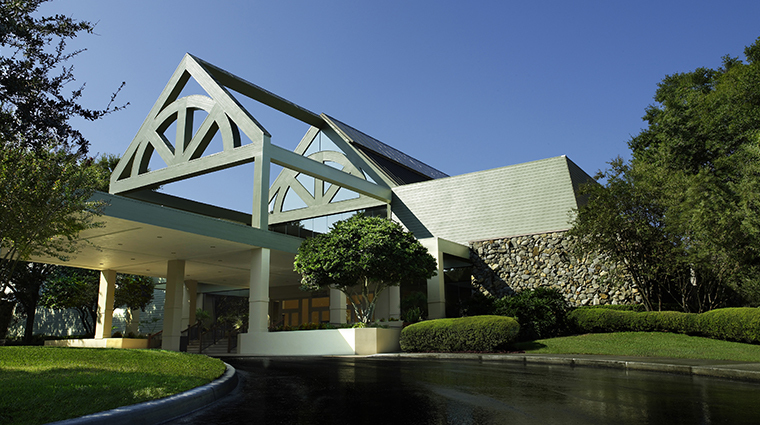 Innisbrook also features 11 tennis courts, six pools, a full-service spa, complimentary shuttle to Clearwater beaches and five different dining venues. 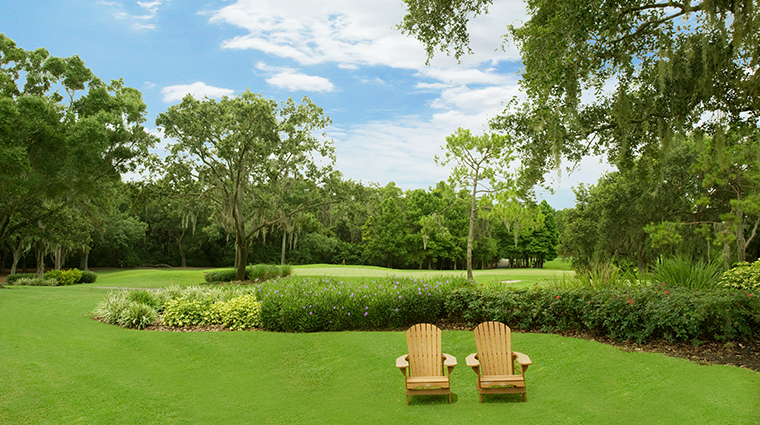 • Innisbrook’s Nature Walk is one of the resort’s best-kept secrets. The resort has carved out specific nature trails throughout its 900 acres for those who want to explore Florida’s wildlife and, throughout the walk, you’ll see birds and fish that are all protected by state preservation laws. 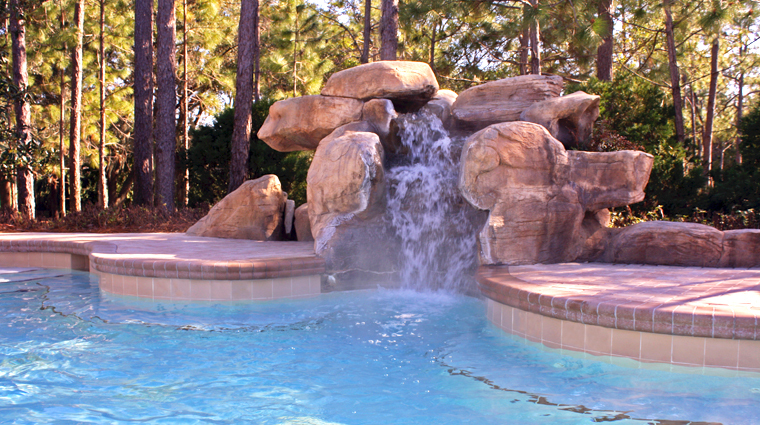 • With six pools on property, you won’t have any problem finding a place to cool off while you’re at Innisbrook and the best one is the Loch Ness Monster Pool, which is the ultimate family playground. The pool is where you’ll find all the kids’ activities, day camps and plenty of water fun, thanks to waterslides, rafts and hidden lagoons. • There are five restaurants on property including the upscale Packard’s Steakhouse and the casual Turnberry Pub, and market that’s great for getting a quick snack, so it’s easy to satisfy any hunger pangs while you’re here. The eateries range from a social sports bar to an elegant steakhouse. • Forbes Travel Guide editors love Innisbrook’s free resort tram service, which takes guests to and from any spot in the resort. You’ll find the call button for the tram service on your room phone at common areas throughout the resort (clubhouses, pools, tennis courts, restaurants, etc.). 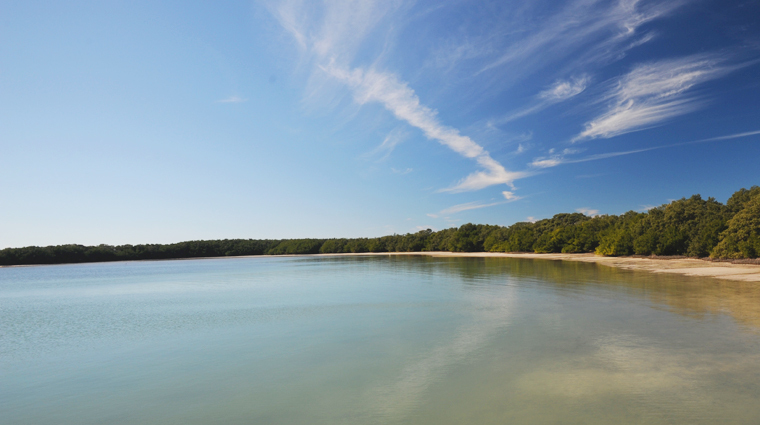 • Innisbrook is a great base for exploring the local beaches. It is located 10 to 15 minutes from one of Clearwater’s best beaches, and there’s a free shuttle service that will take you to the surf and sand. • Innisbrook has a laundry service or you can do it yourself for no charge in the laundry rooms located in each lodge. You’ll find complimentary laundry detergent there, too. • There are kitchens in the suites, which are complete with an oven, stove, microwave, refrigerator and dishwasher, as well as all kitchen amenities like plates, pans, flatware and glassware. 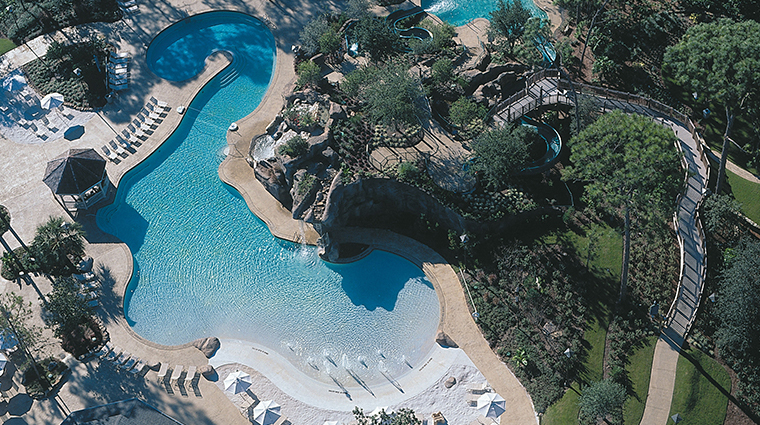 • Innisbrook resort offers daily kids’ activities that range from arts and crafts at the Loch Ness Monster Pool, to day-long tennis and golf camps. Some of the activities, like the camps, do have an additional charge, but they’re a great option for families with energetic tots. • Even though it’s warm during the day in Florida, it does get chilly at night. Bring a light jacket or wrap for evenings outside. Gentlemen will need a jacket if they plan to dine at Packard’s, the resort’s fine-dining restaurant. 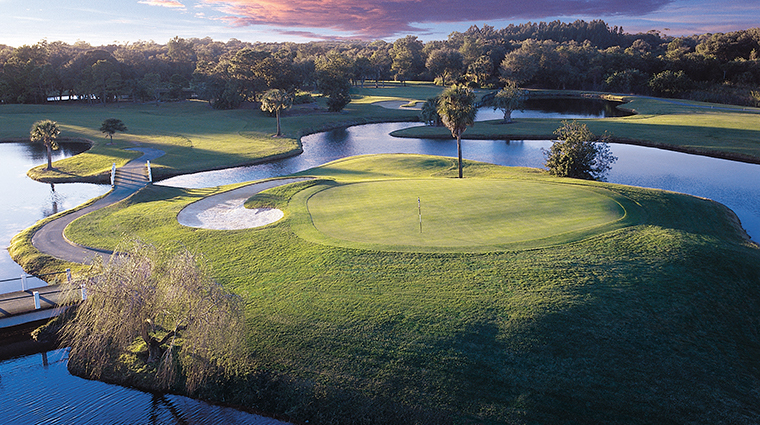 • There are more than 600 rooms in the 28 lodges at Innisbrook resort, and each one features a different layout or concept. When you book your room at the Florida resort, you’ll choose a one- or two-bedroom suite, Executive Suite or Deluxe Guest Room. • The one- and two-bedroom suites are the most popular guest room options. Each comes with a king, queen or two twin beds (depending on your room choice), a separate dining area, a fully equipped kitchen, a bathroom with Gilchrist & Soames bath amenities, and a private balcony or patio, if you’re on the ground level. • The Executive Suites are similar, except that the kitchen areas in those rooms are smaller and there is no separate dining area. 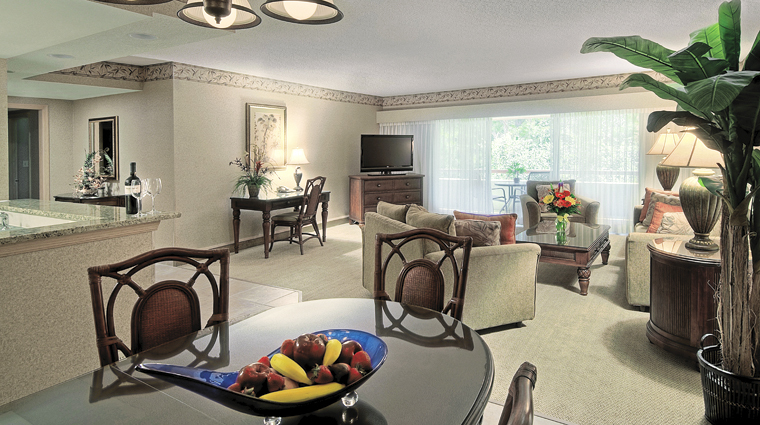 The Deluxe Guest Rooms are the most affordable rooms at Innisbrook resort, yet they still offer all of the amenities you would find in a suite, with the exception of a kitchen. 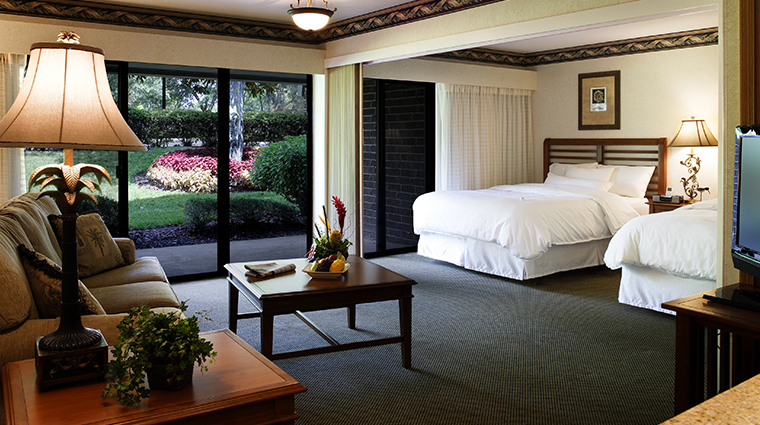 • The bathrooms at Innisbrook resort are functional and well-laid out, offering everything you need in one place. Most rooms at the Florida resort come with a combination shower and tub, a toilet and sink — much like a typical house or apartment bathroom. • A couple of the Executive, one-bedroom and two-bedroom suites come with separate shower and toilet areas. If you’re travelling with a family and would like your bathroom arranged this way, just request this when you call to book your reservation at Innisbrook resort. • Daily activities at Camp Nessie keep kids occupied, while Mom and Dad hit the golf course. Grab an activity list from the guest-relations desk at Osprey Clubhouse and let your little one help plan their own day at Innisbrook. • Golf and tennis clinics are not only available to the grown-ups but for the kids as well. If your little one is developing a love for the game, you can sign them up for a golf or tennis clinic at Innisbrook. • Game room at the Loch Ness Monster Room. Rainy days won’t disappoint at Innisbrook — there’s a great game room at the Lock Ness pool, where kids can take advantage of video games during rainy days. • Fishing and nature walks. Golf is the name of the game at Innisbrook, but for kids with a hankering for the outdoors, the Florida resort has a great nature walk and a fishing lake on property. Get up early for some of the best wildlife watching. • There is no on-site babysitting service at Innisbrook resort, but the luxury Florida hotel will be happy to outsource a babysitting service for you or offer recommendations based on your babysitting needs. Simply consult with the guest-relations desk at least 24 hours in advance and they’ll help set something up for you.